Product prices and availability are accurate as of 2019-04-17 14:27:26 UTC and are subject to change. Any price and availability information displayed on http://www.amazon.com/ at the time of purchase will apply to the purchase of this product. 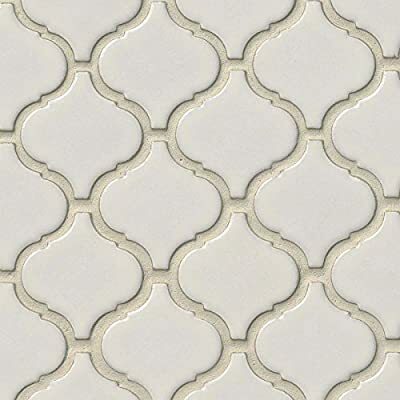 Bianco Arabesque 6mm Ceramic Mosaic Tile.Blanco Arabesque is an exquisite ceramic mosaic tile. 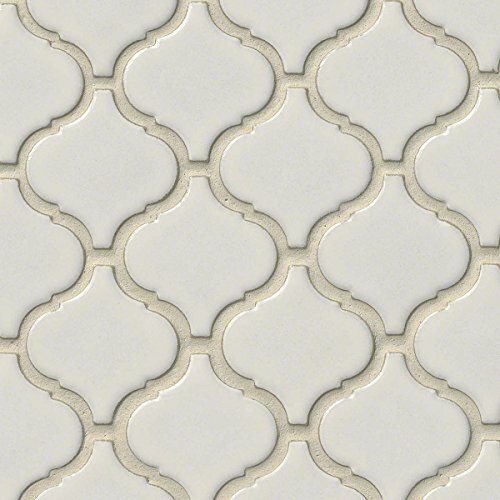 The combination of the arabesque pattern and ecru color effortlessly elevates existing home decor or can set the stage for a whole new makeover. The raised pattern mosaic has a glossy sheen and is designed for use on walls and countertops, as well as light use commercial purposes. Sold by Piece, Per Piece: 0.73 Sqft. Collection: Ceramic Mosaic Material Type: Ceramic Primary Color: White, Finish:Glossy Thickness: 0.24 in.